Have you missed the news of this week, which has passed under the aegis of E3 expo? Don’t be upset, because GameSpace team has gathered them in the week’s game news digest. So sit comfortably in front of your PC and start reading only the most exciting and interesting game news of the past five days. GTA V on PC, PS4 and Xbox One has been announced! The most anticipated version of amazing GTA 5 game will be released! On Tuesday, we told you about the announcement of this action-adventure on PC, Xbox One and PS4 and showed you the fresh game’s video, and already in a day, we shared the alleged project’s launch date for the abovementioned platforms. Do you want to know more? Then click on the links above and go to the full articles. Not only Grand Theft Auto V on PC and next-gen consoles has been announced this week, but two more games about the famous Tomb Raider - Lara Croft - have been also presented for the first time. 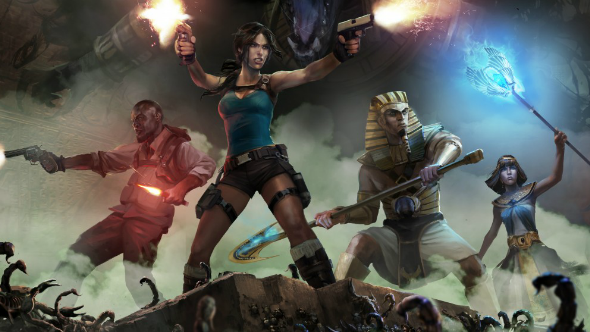 If you want to watch their trailers, get to know the launch dates and some details of such projects as Rise of the Tomb Raider and Lara Croft and the Temple of Osiris, then go to the full article. Almost each our game news digest of the past few weeks includes some fresh information about the forthcoming Far Cry 4. This week its developers have taken advantage of the international E3 expo in order to present a couple of new gameplay videos and share the first details of the project’s co-op mode. More information, as well as trailers are available in the full article. The creators of Call of Duty: Advanced Warfare have also rejoiced their fans with lots of new information. They have shown the first project’s gameplay video, have told about the pre-order bonus and demonstrated it. The fresh trailer and some more details of the upcoming shooter are available in the full article. Unfortunately, not all game news of this week are good. On Wednesday, Ubisoft’s employees told that they have to renounce an idea of creation the female characters for the multiplayer of the forthcoming Assassin’s Creed: Unity. The reason of such company’s decision is described in the full article, where you can also find two fresh project’s videos. 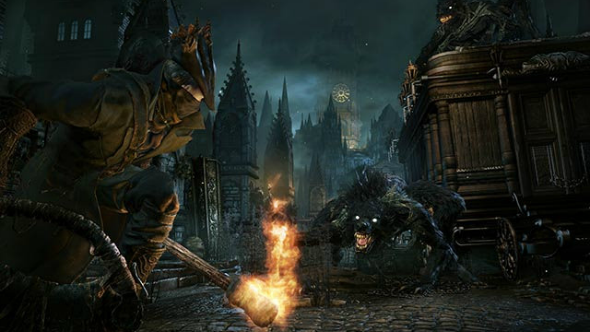 Another ambitious project, as it seems to us, - Bloodborne game - has been announced during E3. So if you like RPG with the elements of horror, which will make you quake with fear, then click on the link above in order to get to know the first details of Bloodborne project. Do you like killing zombies by lots of ways or just prefer watching how other people are doing that? Then you are at a right place, because yesterday we showed a video, in which an employee of IGN portal eliminated the hords of walking deads from the upcoming survival horror game - Dying Light. The fresh trailer can be watched in the full article. And the last information, which we would like to include in our today’s game news digest, concerns the weekly sale from G2A.com, on the terms of which you can buy lots of games with really huge discounts. Don’t miss your chance to get new projects at a low price!